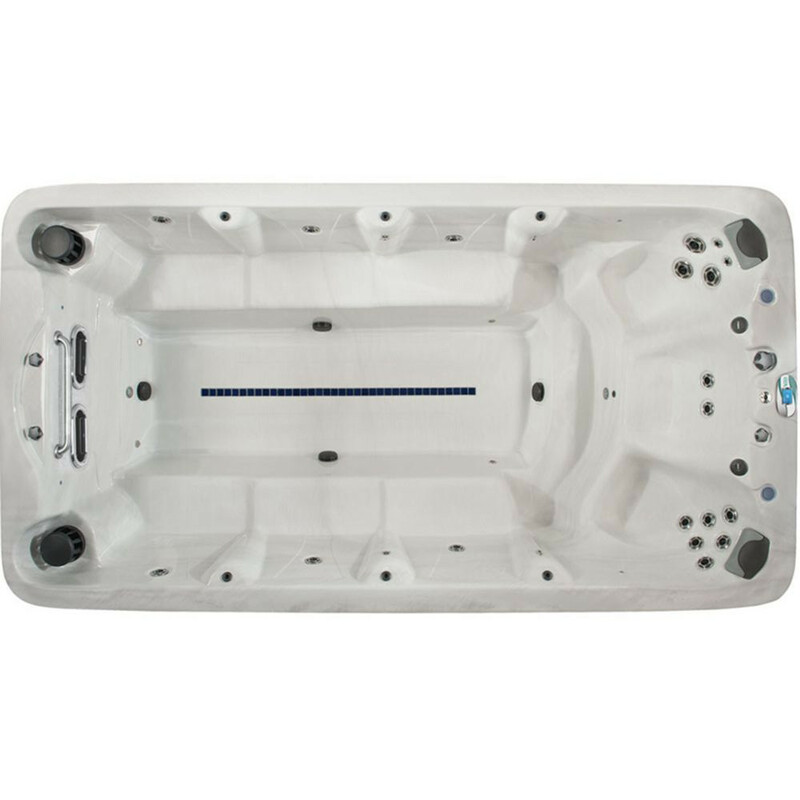 The VB4 is a superb 14ft (4.27m) swim spa with 9 seats including 2 deep corner seats. The VB4 from Vita Spa is the same layout as the XL4, however it also boasts the celebrated new xStream Force jet propulsion system for extra power and a smooth swim. What we love about the VB4 – use it on your own for a fantastic work out, or if you’d like to invite the rest of the family in (plus a few friends and neighbours) the side benches provide a shallow area either side of the swim lane for rest and relaxation – everyone gets a seat! The new xStream Force Jet Propulsion System uses proprietary ‘anti-turbulence’ technology to boost and smooth the swim stream for the ultimate swimming and water exercise experience. Anti-turbulence technology creates a powerful, smooth, variable jet stream that is completely adjustable and designed to allow you to swim at your individual fitness level. Add in our aquatic exercise kit for a full body workout!